Candles make wonderful gifts! And Addylu soy candles are eco-friendly, affordable, locally made, and look & smell amazing!! 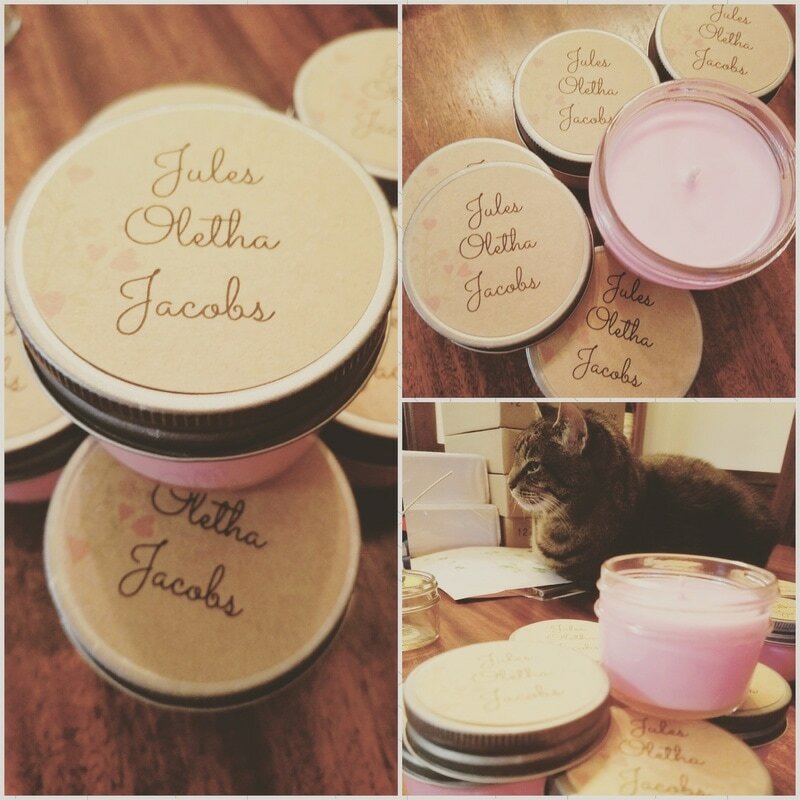 Let us make you a custom candle to use for wedding favors, party favors, gifts, or decor! You choose the color, scent, and jars you are interested in, and let us do the rest! Custom orders must be for 6+ candles and will take 10-14 days to complete. Great discounts are available!! Scents: click here for options! want something else? i can find it! Ready to order? Shop on Etsy or email me! 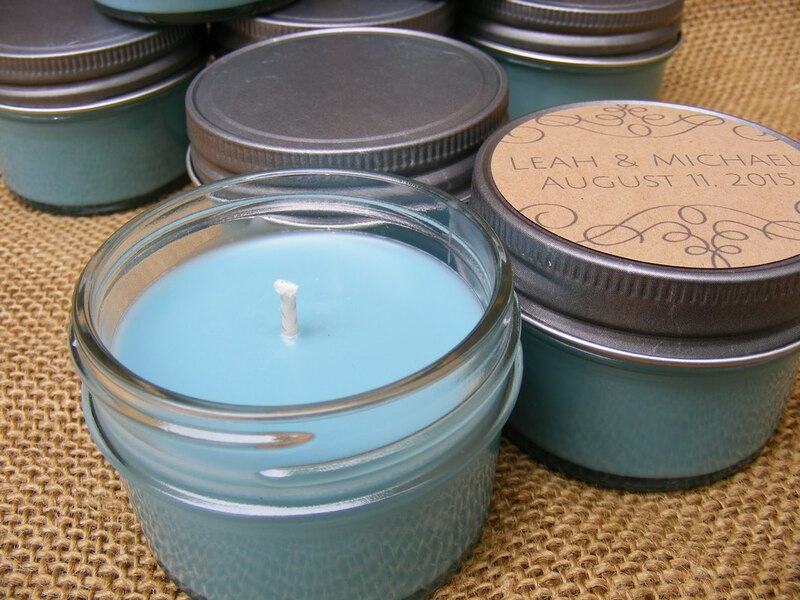 Are you considering using candles as a wedding favor, bridal or baby shower favor, or for a party? Here's one of my favorite Etsy reviews..